I sincerely apologize as last week I released the incorrect Guest Review *smacking head* so this week, I am posting both of them in the correct order. This was supposed to be for the week of February 22, 2016! 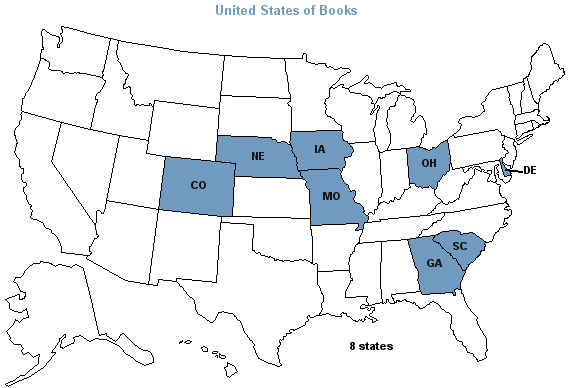 February is the second month of the United States of Books (click here for further details). Through Jim Burden’s endearing, smitten voice, we revisit the remarkable vicissitudes of immigrant life in the Nebraska heartland, with all its insistent bonds. Guiding the way are some of literature’s most beguiling characters: the Russian brothers plagued by memories of a fateful sleigh ride, Antonia’s desperately homesick father and self-indulgent mother, and the coy Lena Lingard. Holding the pastoral society’s heart, of course, is the bewitching, free-spirited Antonia. This story is narrated in first person by Jim Burden in what I think is a very plain unemotional manner. I honestly had a hard time reading this book and at points kept putting it down. It was puzzling to me that for all of the unusual dramatic events in this book it was for me unemotional. I am not sure if listening to it on Audible and switching off and on with the book impacted my feelings. Though these dramatic events in the book were described in fine detail my mind felt a distance from the writing. Two characters did stand out. 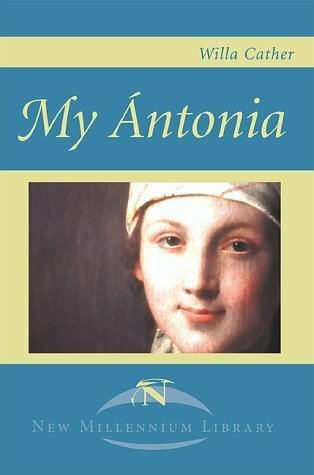 Antonia who was very expressive and Jim’s grandfather for the ways that he dealt with crisis’s, personality issues and his deep integrity. Antonia throughout the book was very emotional and it was obvious to see why quiet Jim liked to be around her and had grown to love her. I finally connected with the book in the last chapter and a half where it became to me a book worth reading. This part of the book make me feel great sadness for Jim and Antonia and where they were 20 years later. The ending was poignant and still brings tears to my eyes. This book leaves the readers pondering the what if. What if Jim didn’t go away to college? What if Antonia made a different decision when her first love deceived her? What if Jim had told her he loved her? But the largest question that I had was how did Jim love Antonia? A sister, friend, lover? This book left me feeling sad because if Jim had more gumption his life would of been so different than it was. It also left me pondering on how many people lost out on the best thing of their lives because they were afraid. This was supposed to be for this week, which I inadvertently posted last week!!! I was intrigued with this book once I learned that this story was based on the author’s own experience. I was not aware of the coarse language in the book until I began reading it; which in my opinion makes this read inappropriate for younger readers. However, that said, I did appreciate that even though this teenager saw a lot of heartache and injustice, including racism and death, there is a lot of laughs throughout the story. I like the narration of the book, hence the title. That was different than the typical read. Gave it a different feel from a story being told. Even with the racial divide in the story that the boy dealt with, I think this story is very relatable to other young adults out there (tragedy in life, being bullied, and the instability that life can bring with its ever-changing twists that life tends to do to all of us. All in all, a good book and a quick read that I would definitely recommend to everyone to read.